It would be a lot easier to make if it were bigger. So having it on two pages might be a better option. It's beginning to look a lot like Christmas! And what's not to like about Christmas? I myself expecially like making gingerbread houses. For this I have designed some templates and here you can download one of them. Easy to download the file and print at home. Cut the shapes and place them on top of your gingerbread dough in order to cut it. Also looking for a recipe for gingerbread? 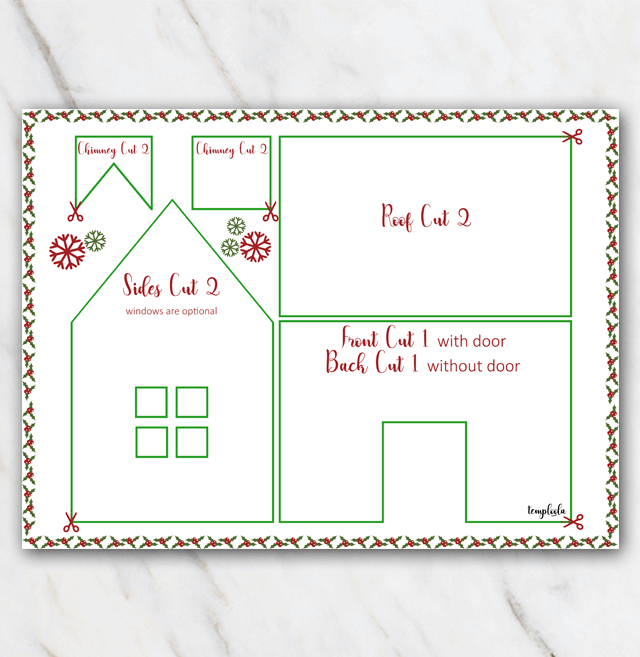 Check out the gingerbread template page!